Group Lessons vs. 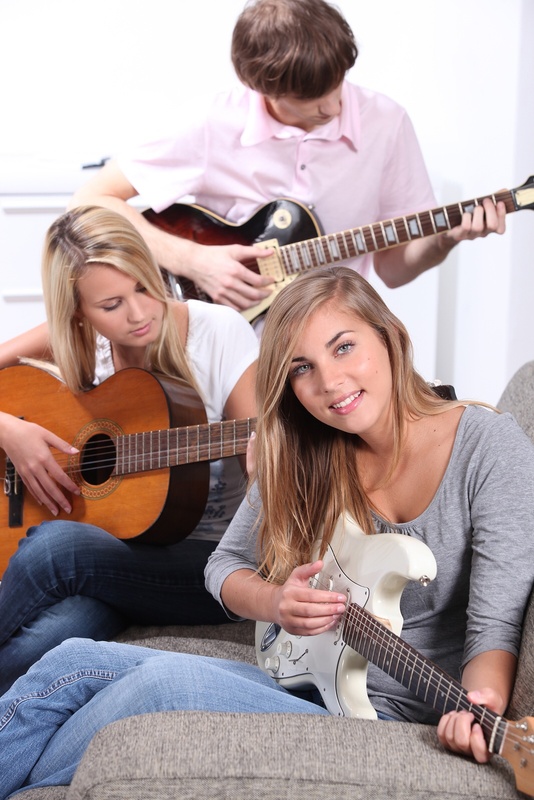 Private Music Lessons-Which Should You Choose? Either type of training will most likely involve learning the basics of the instrument, technique, theory, etc. Private lessons allow the student to work at his or her own pace and have lessons tailor-made to his or her needs. An added advantage is that the instructor can focus more on the individual’s playing technique and style. This typically results in a faster learning curve for the new player. Group training brings in the important aspect of joining fun and learning to play together as a team. As long as all of the students get along and are focused on the same goal, it can add an extra element of accomplishment to the proceedings. You may also be surprised at how much the students can actually learn from each other. Learning one-on-one with a trainer can build a strong personal relationship between teacher and student. But if one wishes to place more emphasis on the social angle of learning, group training can’t be beat! This type of lesson tends to be more laid-back and fun. The interactive work and study brings people together and can lead to long-time friendships. Who knows? You may even wind up in a band together! Some people prefer the social aspects of the group setting; others prefer the strong bond that can develop between teacher and student in a private setting. There is no one right answer. It’s a matter of taste. Understandably, cost is an important thing to consider. Group lessons tend to be a lot less expensive than private ones. On the other hand, many people progress much more quickly as players with private tutors, so you may get more bang for your buck in that case. No matter which way you go, you will learn as long as you apply yourself. So which route is right for you? Do a self-assessment. Do you prefer learning alone? Do you like to spend time with others? How intense or relaxed do you wish the environment to be? Once you decide which way to go, considering the cost of each type of lesson will be backed up by your desire to succeed as a player. Remember, there is no right or wrong here. In the end, as long as you apply yourself, you can learn very quickly regardless of which type of lessons you take. Group lessons may be a better choice if you are budget-minded, private lessons may work better if you want to have a more intensive style of training. As you progress, you may even decide to do both. Do your self-assessment, and choose wisely. Good luck!